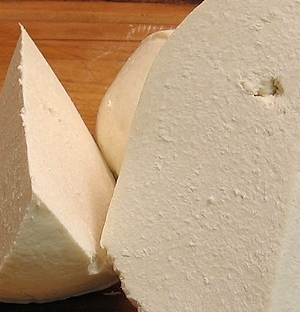 In her book “When Zeus Became a Man (with Cretan shepherds),” author Sabine Ivanovas describes myzithra as “the most sensuous cheese of the world.” When she visited cheesemaker Vassilikos in the village of Xeraxyla on Crete and asked for a sample of his just-made myzithra, she reported that it melts on the tongue and fills the mouth with its sweet warmth. Fresh myzithra is unsalted and soft, similar to farmer’s cheese and ricotta, and is generally sold in egg-shaped balls. It has a pungent aroma and mild flavor. Sour myzithra, also known as xinomyzithra (ξινομυζήθρα), ksee-no-mee-ZEE-thrah), is made with goat or sheep milk, yeast, and salt. Aged myzithra (myzithra xeri) is a hard, salty cheese. 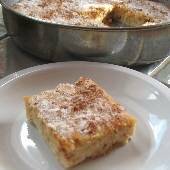 Fresh and sour myzithra are wonderful in baked desserts like Greek cheesecake and Sweet Cheese Pastries, and can also be added to cooked dishes that call for cheese. Aged myzithra is used as a cheese grating for pasta dishes, soups, and vegetable casserole dishes, and is also used as an ingredient in pasta sauces. For aged myzithra: kefalotyri, parmesan, pecorino romano. Myzithra is the most widely used cheese in Crete, where feta is a relative newcomer. 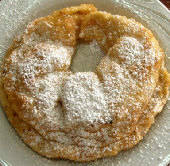 It is also widely used in recipes from other Greek islands.